The Miami Dolphins made their first assistant coach hiring under Tony Sparano and second of the offseason today, naming Mike Maser offensive line coach. Maser had previously served in the same capacity for the Carolina Panthers from 2003 to 2006, and worked with Sparano when the two were assistants for the Jacksonville Jaguars in 2002. Maser replaced Hudson Houck, who recently re-joined the Dallas Cowboys after serving a Miami's offensive line coach from 2005 to 2007. Born in 1947 in Clayton, New York, the 61-year-old Maser has over 35 years of college and pro coaching experience. He was a guard for the University of Buffalo from 1966 to 1968 and then held various assistant titles for multiple high schools and colleges, including Buffalo, Marshall and Maine, through 1980. From 1981 to 1993, Maser served as offensive line coach for Boston College. The Eagles went to six bowl games during Maser's time with the team and produced the school's only Heisman Trophy winner to date in Doug Flutie (1984). In 1995, Maser moved to the NFL coaching ranks as offensive line coach for the Jacksonville Jaguars. 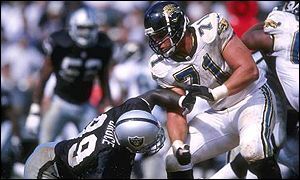 He held the title through the 2002 season, during which time linemen Tony Boselli and Leon Searcy earned a combined seven Pro Bowl selections. The team also had three all-rookie selections in center Michael Cheever (1996), guard Brad Meester (2000) and tackle Maurice Williams (2001). The Jaguars also topped 2,000 yards rushing in four of Maser's last five seasons with the team. With the Panthers from 2003 to 2006, the team produced three of the five-highest rushing totals and three of the four-lowest sack totals in team history. Under Maser's tutelage in 2004, guard Mike Wahle become the first offensive lineman selected to the Pro Bowl in franchise history. While Maser has an impressive résumé, so did Hudson Houck when he arrived in Miami. The team's run blocking improved greatly under Houck and this progress was most evident in 2007, however the pass protection has continued to be abysmal. Since most of Maser's accolades revolve around the run, it's hard to know what to expect. In Houck's defense, a lot of Miami's problems on the offensive line may have just been the result of a lack of talent. Vernon Carey is clearly not meant to be a left tackle, while Chris Liwienski and L.J. Shelton shouldn't be starting for anyone. 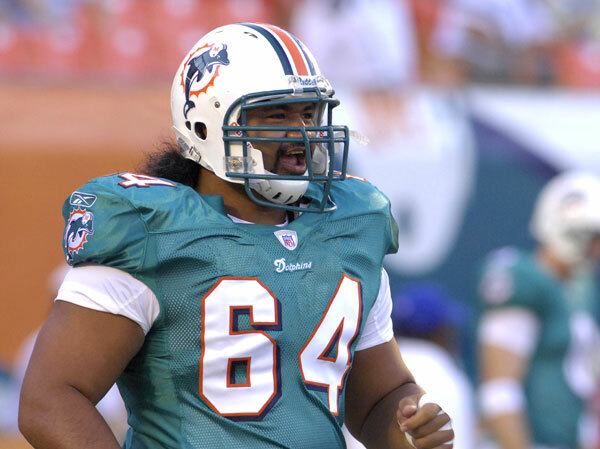 Rookie center Samson Satele was the lone bright spot for the unit in 2007, and while free agent Rex Hadnot's had his ups and downs it would be wise to retain him. Yet even with Satele and Hadnot, there's still a long way to go for this group.